Dream Phone was the ultimate 90s mystery game for tween (and maybe teen) girls. The object of the game was to find out which "hot" guy had a crush on you. 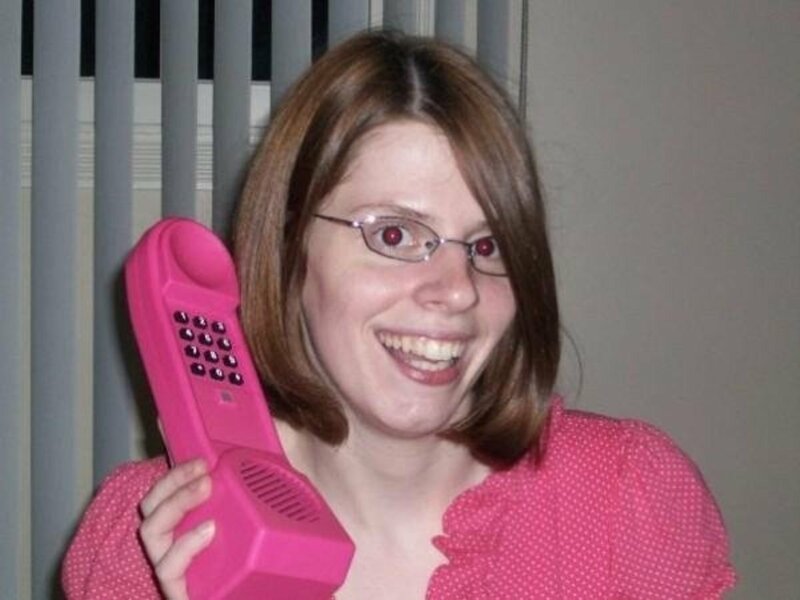 By using the giant pink electronic phone, players would dial 555 numbers and talk to guys in order to gather clues. Clues gave out information such as where the crush wasn't eating, what he wasn't wearing, and where he didn't like to hang out. Of course, there were always those jerk guys who would say, "I know who it is, but I'm not telling! HA! HA!" 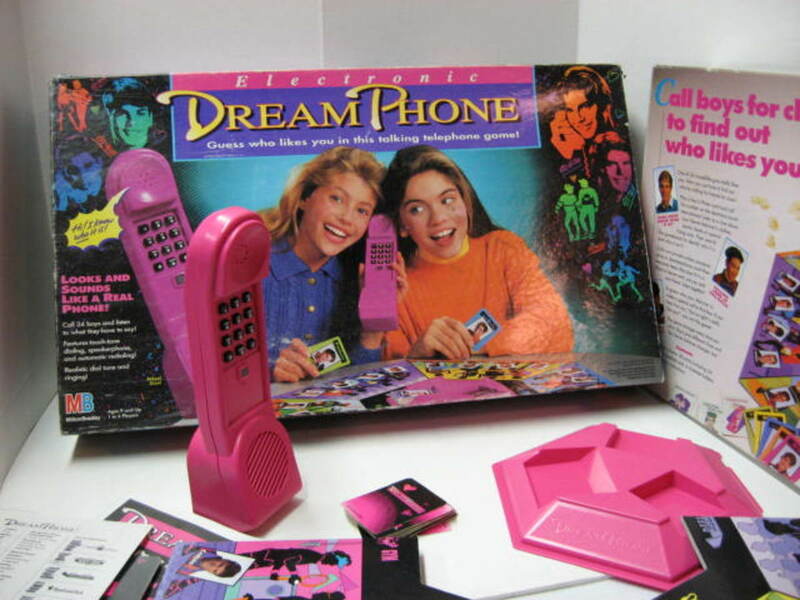 The highly popular Dream Phone game was so reminiscent of the 1960s game for girls called "Mystery Date" that perhaps it was a modern (for the 90s) rip of the same game. With the help of the clues and the process of elimination, players would guess who had a crush on them and call the guy to confirm their guess. An interesting point in the game is that the crush is the same person for all the players, so the first girl to guess the crush apparently was the girl who the guy had a crush on. This makes little sense but perhaps 90s boys were fickle like that! The more rugged guys hung out at Jim's Gym including Bob (very handsome) but seemed much older than a guy a tween girl should be dating. Is this a good influence on a girl playing Dream Phone? Oh, but he had that older college guy appeal to him. As young girls, my sister and I never understood the purpose of wearing a coat to the gym, but we'd imagined maybe he's super rugged, manly, and perhaps getting ready for a rugged forest adventure. Maybe it's what made Bob the dark and mysterious type. Scot wasn't bad looking, either, but he wore a tie to the gym. Maybe it was his first time in the gym. Reel Movies had an interesting mix of people. Did these guys come to the movies together or separate? 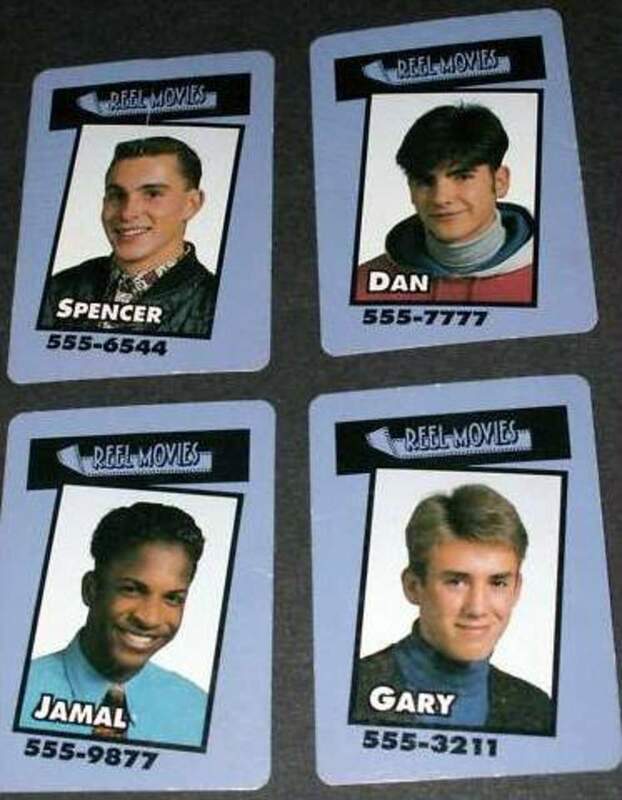 The 90s boys in Dream Phone would hang out at some very 80s and 90s cliché "cool" spots, which included Reel Movies where you had Spencer, Dan, Jamal, and Gary. 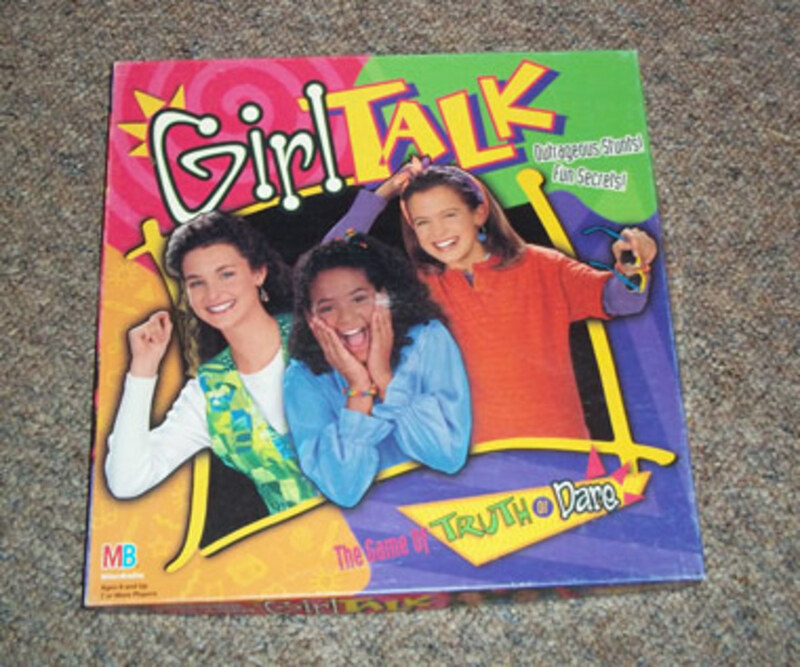 As girls, my sister and I thought that Jamal was a square because when this game came out it was in the phase right between grunge and ska. However, Jamal wore a suit and tie to the movies. Look at Dan! And that bowl cut! That was the epitome of the 90s. After seeing Hugh Grant in "9 Months" I'd thought the bowl cut would NEVER go out of style. Dan sporting that modern, cool hairstyle was near the top of my list in this game. Bruce, Tyler, James, and Phil all hung out at Eats Snack Shop. I don't know if this town has a no loitering ordinance, but apparently, these kids either have an endless supply of money to spend so much time in a cafe or in the perfect 90s world there is no ordinance. Perhaps they were nerds. The Eats Snack Shop boys did have that kind of nerdy, but cute appeal about them. They had huge allowances which gave them the ability to stay all day at the snack shop. Was it because of their grades? Did they brown nose? The story lines that we girls would come up with were endless. 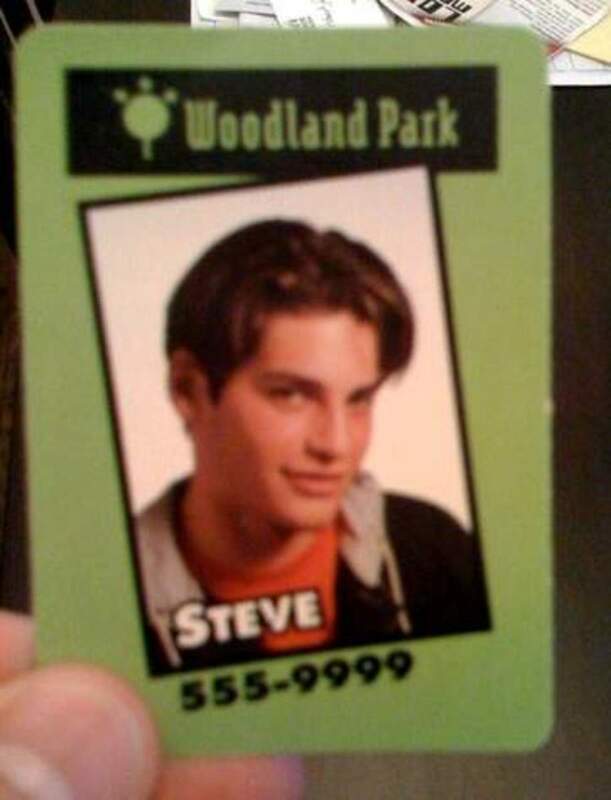 Is it creepy that tween girls would pretend call an older looking guy? Steve was the "hot" one. At the beginning of the game, each girl is given a sheet listing all the boys in the game and four cards, each with a different boy on it and his phone number. 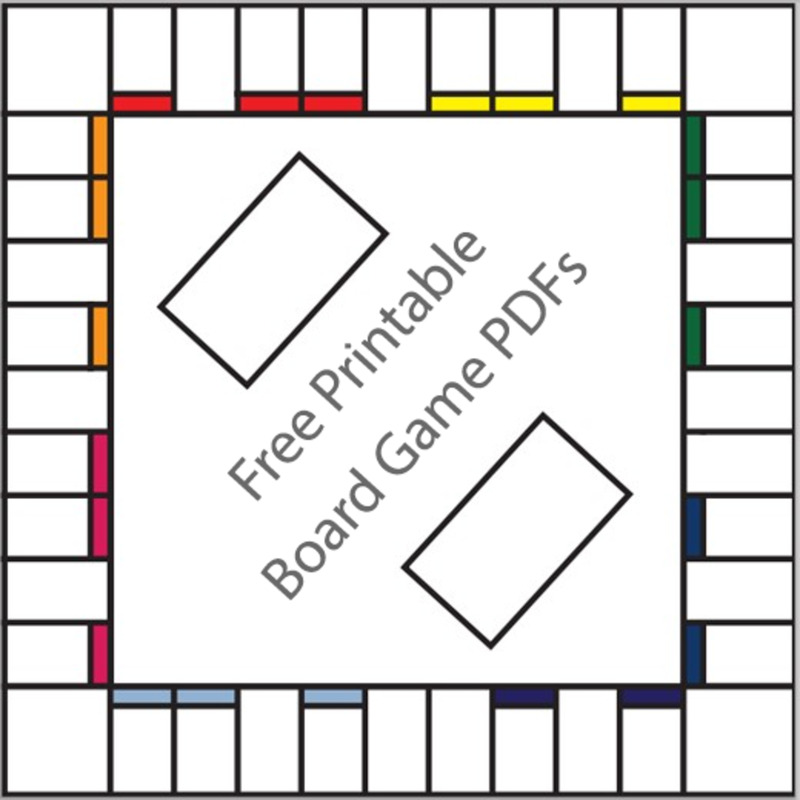 A game board showing where each of the guys is hanging out, what they are doing, eating, and wearing was also set up. Each girl takes turns calling different boys, obtaining clues. Boys say things like, "I know who it is, he's not at the mall." 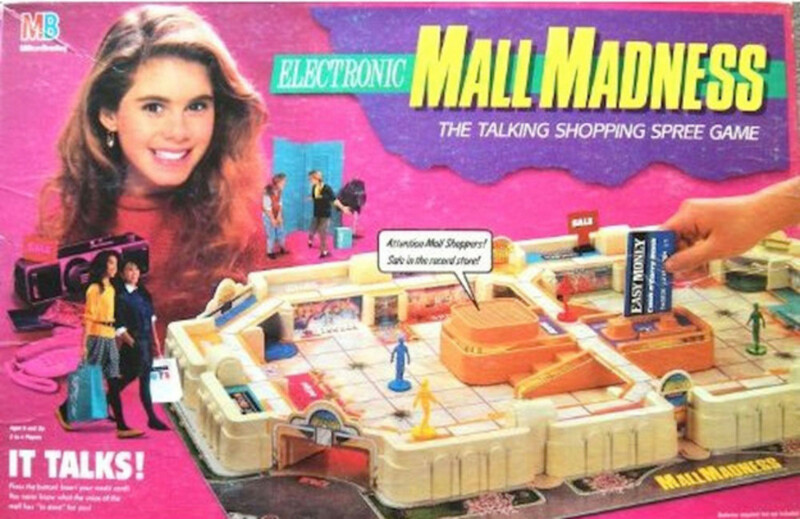 In which case, the player would secretly cross off the boys at the mall from her list. Girls also have cards that can be thrown to have another player skip a turn or share the phone call. The first girl to correctly guess the crush wins. I missed this game -- I guess I was too old in the 1990s. (Don't tell.) It does, however, actually look like a game of that era. I always wanted this game but never got it. Oh wow. Forgot about this game. It was my sister's. Now I'm going to have to call her up and see if she still has it! Never played but you made me want to! :) your a great writer mel! I think what you really want to do is go LARPing. OMG, this game would be fun to larp! Sorta. I just want to look for clues, not like check out guys with bowl cuts. Wow. Wow. I seriously missed out by not playing this game. It... sounds like a LOT OF FUN! You know what I want to do? Turn this into a full-scale ARG. Because that would be incredible. Incredible. I remember playing this game at a sleepover but I could've sworn the bros were hotter. Perhaps it was the capri sun goggles. Great summary/explanation of the game! Haha I'm definitely sharing this with my sister and brother, they'll love it!! Great Hub, Voted UP! !